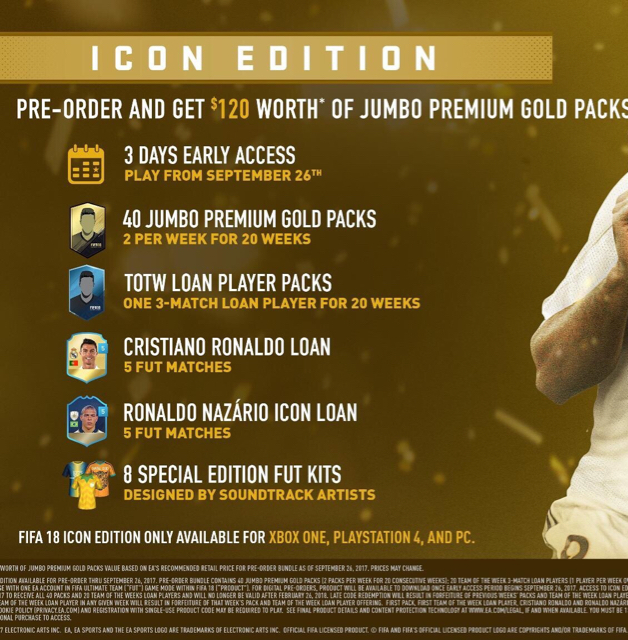 Damn.....is icon edition only available for pre order? Ps4 users have now access to legendary players too.. besides that haircut even as ridiculous as it looks is iconic. I hereby promise to not play with another team than Milan in FIFA18. off topic, anyone playing PUBG? I've pre ordered this edition. 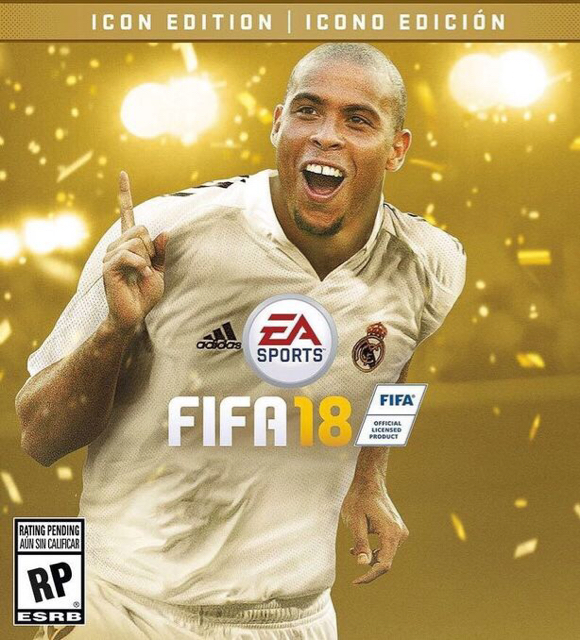 Looking forward to get started with FUT again. Last year i started wih a Spanish team and in the end i ended up with a sick French team full of in form. Got to Elite a few times so thats the goal again. I cant believe am still the best player in Europe after skipping out on fifa17. Only europe though. Dont wish to exaggerate. Sheva, Pippo, Maldini, Nesta, Rijkaard, Gullit, Rui Costa and way more Milan icons are confirmed... I need a shitload of coins!